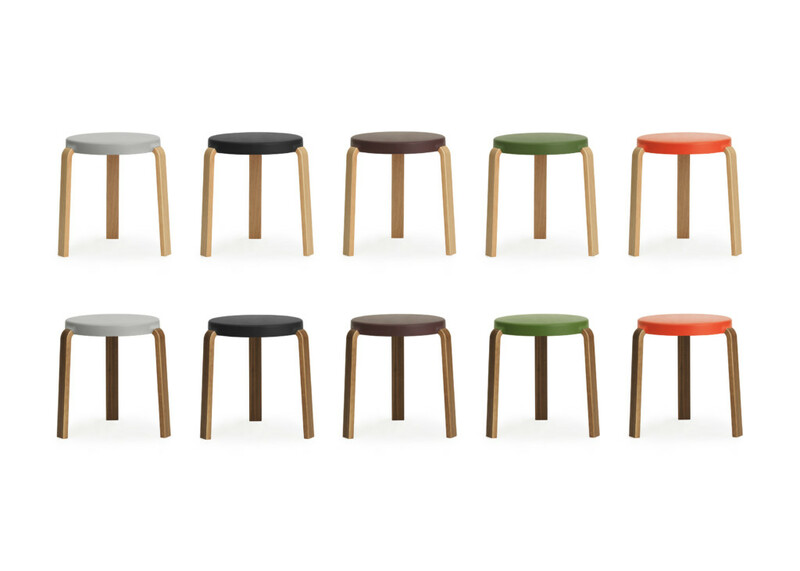 Available In: Seat Finishes - Black, Grey, Aubergine, Olive, Spicy Orange. Leg Finishes - oak or walnut. 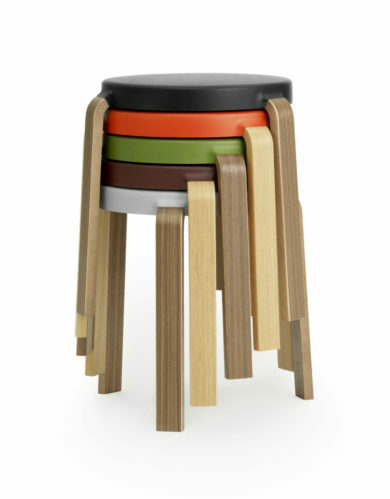 The designer Simon Legald has taken up the challenge and breathed new life into the traditional stool with original materials and details. In doing so, he has created a practical and beautiful design in the cross field of craftsmanship and industry. 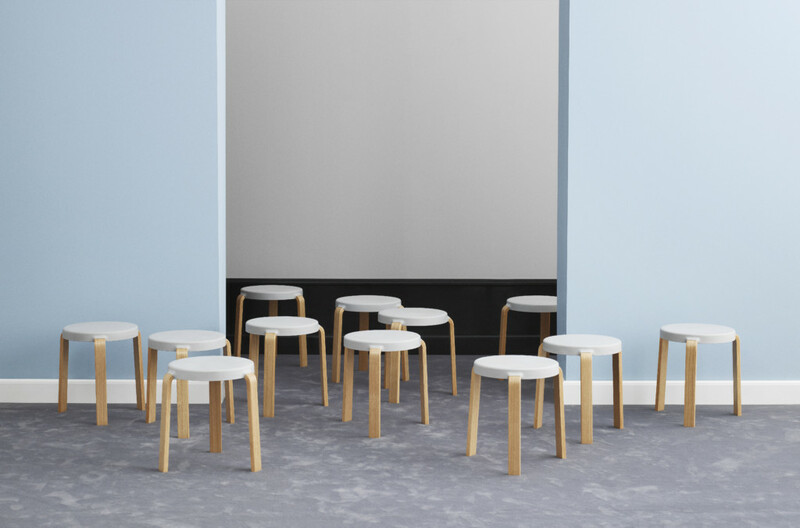 Tap is an unexpected, different, yet familiar stackable stool in a class of its own. 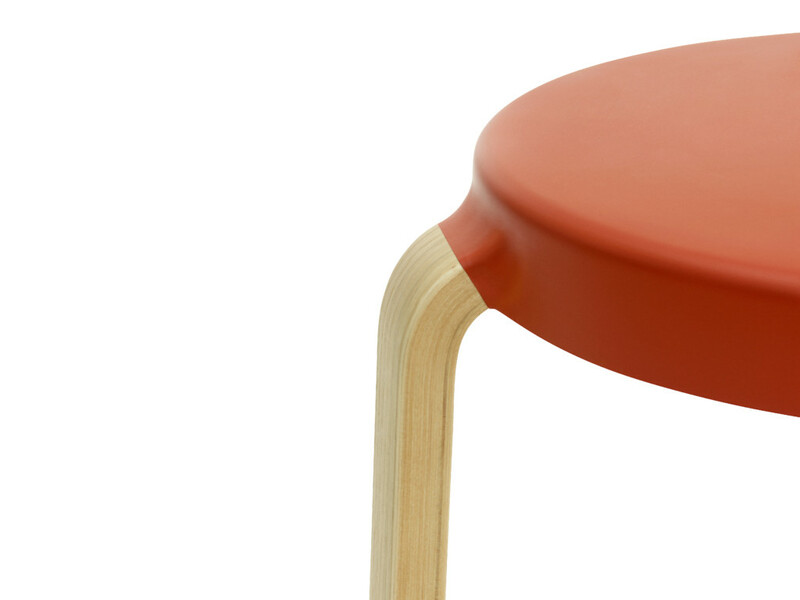 The gathering between the seat and the legs is seamless, giving the stool a unified and integrated look. 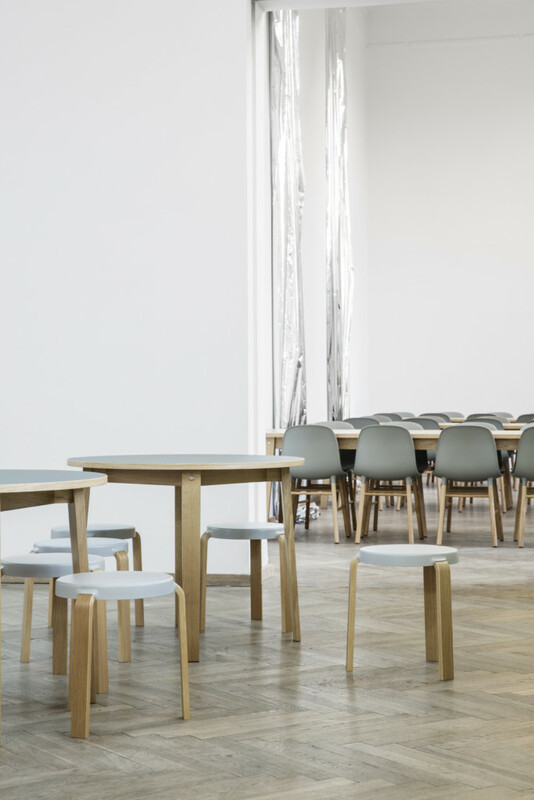 The flexible foam seat makes the stool look as welcoming and comfortable as an upholstered stool.